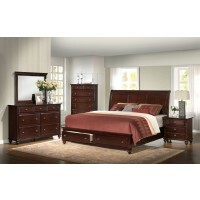 There is no room in the house that contributes to your health and peace of mind as much as the bedroom. With a good night’s sleep, and a comfortable place to do it, anything is possible. 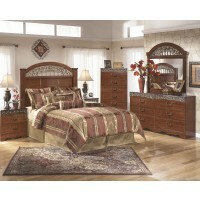 At Price Busters, discount bedroom sets of every size and style will help you create an oasis you can return to night after night and leave refreshed day after day. Choose the comfort of a stylish queen bedroom set or stretch out in a luxurious king-sized headboard and mattress set, each available according to your budget and space. With the largest selection of discount bedroom furniture packages, we can help you find the right combination of bedroom dressers, nightstands, mirrors, and beds, along with options such as an added chest, lamp or even lighted headboard. Upgrade your bedroom to the place of dreams, whether asleep or awake.